Kosuge’s hot spring resort (or onsen) is a great way to relax after a day of hiking or completing the Forest Adventure course. It is known for its high alkaline that will make your skin feel smooth. 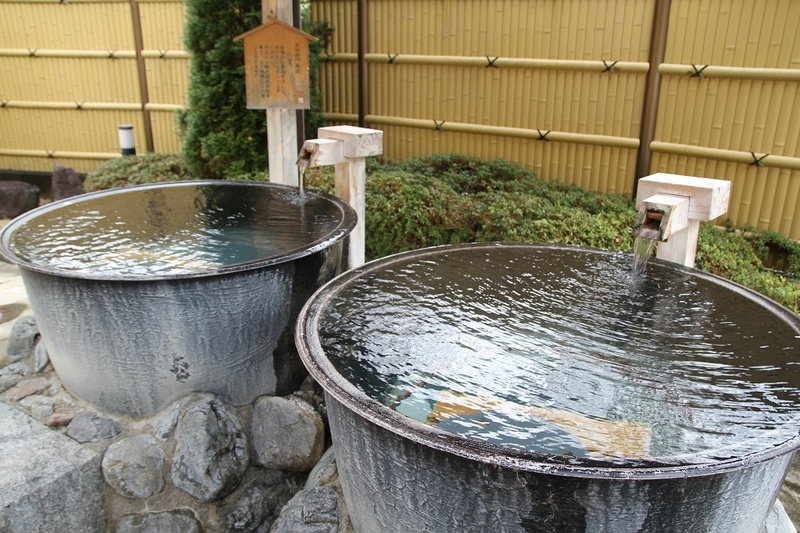 Features include indoor and outdoor baths with Kosuge’s mineral-rich spring water, goemonburo (stone basins suitable for one person), a large open-air barrel tub with weekly rotating herbs such as cypress, a shallow bath for lying down, a waterfall shower with natural spring water, a jacuzzi, and a sauna. Besides the baths, there are massage chairs, waiting rooms, meeting rooms, nap rooms, a smoking room, vending machines, a restaurant, an art gallery, and a gift shop. Towels are available for rent or purchase.